Parents find that juggling the various responsibilities in their personal and professional lives becomes easier when they have a suitable baby monitor. For example, parents can monitor their babies’ activities even if they are in another part of the house or in the home office. But, choosing the best baby monitor based on your budget and lifestyle can be a challenge considering the dozens of choices available. These products also have a wide range of features and functions that can overwhelm parents, especially first-time parents dealing with the overwhelming number of baby-related items they need. To make things easier, we present these top 10 baby monitors. We compiled our list based on actual testing by our panel of reviewers and from consumer reviews of these products. 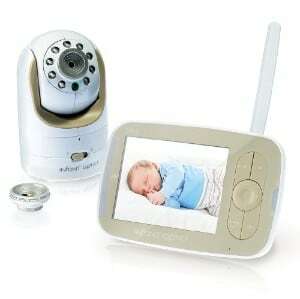 The ability for remote viewing is among the most sought-after features of modern baby monitors. The DXR-8’s three interchangeable lenses take it to the next level – each type of lens provides another angle and depth of view. The normal angle lens provides a standard view, the zoom lens provides a closer view, and the wide-angle lens provides scanning capabilities of the entire area. Each lens can be used for specific purposes, such as zooming in on your sleeping baby for possible signs of SIDS. You will also like the pan-and-tilt control mechanism since you can get different viewing angles via remote control. You can also be alerted when your baby makes a sound, thanks to the sound-activated LED, and when the temperature changes in your baby's room. Your baby monitor can be charged using a USB port and, when fully charged, run on battery power for 6 to 10 hours depending on the selected mode. What's Great About It: We like that it has interchangeable lenses, pan-and-tilt control, and sound-activated LEDs - features that most video-based monitors don’t offer. The best feature, however, is its two-way communication system, a great way to soothe your baby when you’re still walking toward their room. Parents sleep better when their baby monitors provide clear and crisp images even in dim to dark light conditions. The Security Digital baby monitor has infrared imaging technology in its camera, allowing it to pick up images even in low-light conditions. You don’t have to keep the lights on to see your baby’s activities in their room, but a night light is still a good idea. Aside from its infrared capabilities, the camera also has panning and titling capabilities. You can pan it in a 360-degree manner and tilt it up or down by up to 12 degrees, providing you with better views. 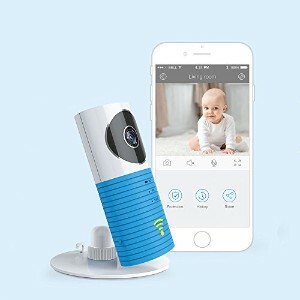 Other features that make this night vision-enabled baby monitor great is the lullaby feature to put your baby to sleep, the 2-way talk mechanism, and VOX mode for controlling the settings and making parental reminders. What's Great About It: You can hook up four other video systems into the existing system. With this new system, you can now conduct round-the-clock monitoring of the indoor places your baby frequents, ensuring your little ones safety at all times. The first baby monitors made were audio devices designed to alert parents when their baby made a sound. Parents who like audio baby monitors will likely appreciate this Philips product, even though there are no accompanying videos. Just because it’s only an audio monitor doesn’t mean it’s inferior to video baby monitors. It cancels out environmental noise effectively so it picks up your baby’s sounds quickly and clearly. You will then be immediately alerted when they're awake or in need of assistance. You may even feel like you’re actually in the room with your little bundle. You also have the benefit of a temperature sensor, five lullabies to put your baby to sleep, and a talk-back feature, which is a huge plus. What's Great About It: We wish that this monitor had a video feature for better monitoring of your baby, but since its sounds are clear and crisp, even at long distances, we still recommend it. We suggest using it for babies who may not require as much monitoring as others, such as for your older kids in their playroom. As silly as it may sound, some parents choose their baby monitors based on their design, and there is nothing wrong with that at all. In this case, the DXR-5 fits the bill of a beautiful, functional and durable baby monitor. The summer-inspired pastel blue color blends in well with most baby furniture too. Its features are obviously the most important aspect, especially for parents who want 24/7 monitoring of their babies. You can rely on the camera system with its 30 frames per second to broadcast clear and crisp images. This is true even in dim light conditions because of its infrared imaging technology, although it has its limitations too. You will be able to enjoy an afternoon nap or a good night’s sleep without the baby monitor sounding off false alarms. 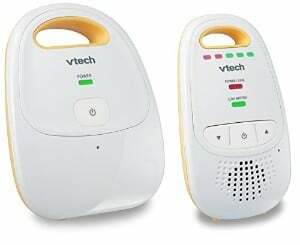 The baby monitor effectively cancels out white noise, static, and extraneous noise. You can leave it on for up to 12 hours on its battery power alone, provided that its VOX mode is on. What's Great About It: We like that it can be used as both an audio and video baby monitor. Many baby monitors can only function well as one or the other. You have clear images from the video streaming and crisp sound from the audio system - every parents dream. 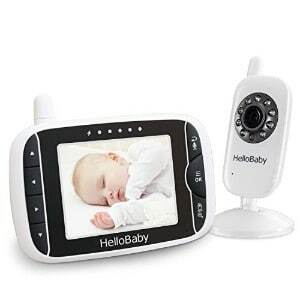 Affordability is also a factor that affects many parents’ choice of the best baby monitor. The DM111 is an affordable option that still provides many useful features. Keep in mind that it’s a digital audio monitor, so there are no videos with this one. Despite the absence of videos, it delivers crisp and clear audio transmissions sans the static and white noise of radio interference. In layman’s terms, it simply means that you can easily hear any sounds that your baby may be making in their room. You can then take prompt and appropriate action based on what you hear. You can even clip on the parent unit unto your belt or place it on a table so you can monitor your baby wherever you may be in the house. You can also adjust the sound level, which is a convenient feature. What's Great About It: We like that it’s a more affordable option than most of the baby monitors on our list. The cheap price, fortunately, doesn’t affect its overall performance as an audio baby monitor. It’s a good buy as an audio baby monitor so we recommend it. In many consumer products, several technologies can be combined resulting in better performance. This may well be true for the Smart Wireless baby monitor, which combines motion detection, infrared imaging, and Internet connectivity. But don’t get overwhelmed by all of these technological terms - the monitor is easy to set up and use, even if you are not well acquainted with these things. Basically, the camera of the baby monitor system turns on only when movement is detected just like a motion detection system. Any movement will trigger an alarm via push notification. Even in low-light conditions, the images transmitted by the camera to a mobile device are clear and crisp, thanks to infrared imaging. The images can be sent to a laptop, tablet, or smartphone with a Wi-Fi connection. You can also talk to your infant via the two-way talkback feature. Your peace of mind about your child’s condition while you’re in another part of the house will be assured. You can soothe your child by talking to him. What's Great About It: We like the Internet connectivity, since parents want the ability to monitor their babies 24/7, if possible, but can’t for various reasons. You can access the videos transmitted by the cameras via your mobile device, anytime and anywhere, as long as you have an Internet connection. 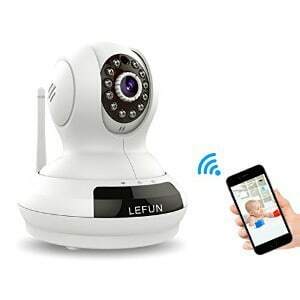 Yet another video baby monitor with Internet connectivity is LeFun’s IP Surveillance Camera. You can easily and quickly access the streaming videos from your mobile device, provided that it has an Internet connection. You don’t even have to be in the same house as your baby, a plus for concerned parents on nights out. Every member of the family can also access the streaming videos as long as they know the password. This is a plus considering that raising a baby takes a family, if not an entire village. Just don't give the village the password. The high-resolution 720p images are also one of its selling points. You don’t have to guess too much about what your baby is doing because the sharp images show your clearly. You can also control the cameras via remote methods, such as panning it 360 degrees and titling it up to 100 degrees for optimum views of your little one. The digital zoom feature allows for close-up views although, as can be expected, it has a limited range. In dark rooms or at night, the infrared LED imaging feature kicks in to provide relatively clear images up to 32 feet. The 2-way talk capability is useful in soothing your baby when you are not in the room. What's Great About It: We recommend it not just because of the above mentioned useful features. You will find it so easy to set up and use, even if you’re not familiar with the technologies used. You can even store the images on a micro SDHC card. The frequency hopping spread spectrum (FHSS) technology is put to good use in this Phillips baby monitor. The superior quality of its images coupled with the fast transmission of these images means uninterrupted streaming from the baby unit. You can see these sharp images on the 3.5 inch control unit. You have a window, so to speak, into your child’s activities while you’re in another part of the house. You can’t, however, connect it to your smartphone since there’s no Internet connectivity, which can be seen as a good and a bad thing, depending which you prefer. But since the baby unit has plenty of features, this minus point can be overlooked, especially if you’re not into it anyway. These features include infrared night vision, a talkback feature, an integrated night light, a music player with lullabies, and a temperature monitor with instant notifications. What's Great About It: We like the sleek design, as well as its ease of assembly and operation. The baby and control units appear to be durable too, so these should last for a few years. These units are also not prone to overheating, unlike many cheap baby monitors that can be considered as fire hazards. Many parents prefer the ease of installation and operation of audio baby monitors, especially when video streaming isn’t necessary. 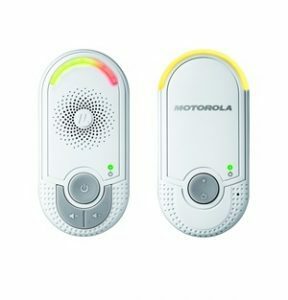 In this case, the affordable MBP8 by Motorola is a great alternative to the more expensive audio and audio-video baby monitors on the market. You just plug the baby unit into an outlet in your baby’s room and voila. You can now hear the sounds coming from your baby and the room on the parent unit. You don’t have to worry about radio interference from other electronic gadgets jumbling up the radio transmission, thanks to the DECT digital technology. 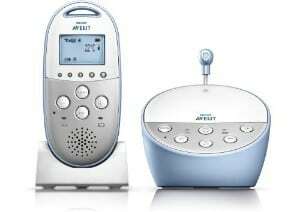 Other features to like in this audio baby monitor are the built-in night light and LED indicators for sound level, which are both very helpful when monitoring your little one. What's Great About It: We like that it’s a simple baby monitor to use, and all you have to do is plug and play, in a manner of speaking. Sometimes simpler is better, and this certainly seems to be the case with this audio baby monitor. For many parents, the expense of a fully-featured baby monitor is well worth it, so if you are looking for something with all of the bells and whistles, the New Version baby monitor is a worthwhile investment. You can keep an eye – and an ear, for that matter – on your child while they are in their room, whether they're sleeping, playing or just wondering around. You don’t even have to be in the same house with your baby to monitor their actions, as audio and video streaming on your mobile device is possible thanks to its Internet connectivity. The images are sharp and the audio is clear, a must for parents concerned about their children’s activities while they are away. You can even see them in dim lighting conditions, such as at night. This is because of the infrared night vision technology with a 15 foot distance. You also have other useful features that make the extra dollars paid for it worth every cent. These features include eight built-in lullabies, a 2-way talk feature, and programmable temperature monitoring, as well as power conservation while in VOX mode. What's Great About It: We like that it comes in several languages including English, Italian, French and Spanish. You will find that these parent and baby units are also compact in size and light in weight. You can then easily install it in whatever room your baby is in. We have to admit that choosing the best baby monitor from among dozens of choices isn’t easy. This is especially true considering that the safety and security of babies and older children may well rest on making the right choice. Nonetheless, we made it easier by adopting a set of criteria in making our shortlist. The best baby monitors shouldn’t add a chore to the already busy lives of parents. These must then be easy to install of the plug-and-play variety, as well as easy to operate when choosing the settings. They must also come with instruction manuals containing clear step-by-step instructions for installing, operating and troubleshooting should the need arise. The baby monitors should also have compact dimensions aside from being lightweight. Parents want these products to be portable enough that they can be transferred between rooms depending on where their babies are at the time. The baby unit, for example, can be transferred from the bedroom to the living room while the parent unit can be clipped to your belt or placed on any flat surface. More in Infant Gear: What are the Best Life Jackets for Infants? 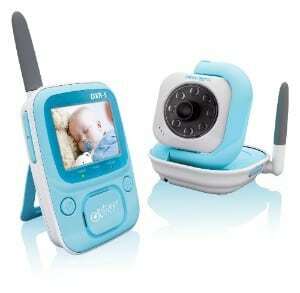 The usefulness of baby monitors largely depends on the quality of the audio and video transmitted from the baby unit to the parent unit – or in the case of Internet-connected products, to mobile devices. The audio should be clear without radio interference while the videos should be crisp and in high resolution. We also considered the capabilities of the camera in deciding whether a baby monitor should be included in our list or not. We looked at the panning, tilting and zooming capabilities of the camera, as well as its low-light capabilities. We considered features like audio sensitivity for both the audio and video baby monitors. We considered wireless connectivity, motion detection, and scalability as bonuses to the basic features we wanted in the best baby monitors. We know that these features cost money so we only included them if they were reasonable. Of course, we also considered the consumer reviews especially from parents like us. In most of these products, we both tested the products and read the reviews for a good idea of their overall performance. 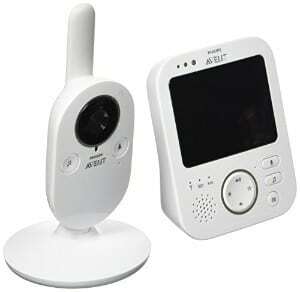 We must also emphasize that your choice will depend on your needs and wants in a baby monitor. You should also carefully consider several factors in your choice, such as security, size, connectivity, and budget. All baby monitors are designed for parents to keep tabs on their children, particularly their babies, when they aren’t in the same room with them. The earliest baby monitors transmitted audio signals only, which are still among the simplest and cheapest today. The most popular devices today are the baby monitors that combine audio and video streaming since these obviously provide both sight and sound monitoring. But if you’re the type of parent who wants to keep really close tabs on your child, you can find baby monitors with sophisticated features. These products can track your baby’s vital signs, such as heart rate, body temperature, and oxygen level, as well as their movements and position. You may, for example, have concerns about sudden infant death syndrome (SIDS), thus your need for an advanced baby monitor. Baby monitors typically have two units for them to work. First, the baby unit has a transmitter that stays in the room where your baby is located. Second, the portable receiver, or the parent unit, that receives the audio and video transmissions from the baby unit. In Internet-connected baby monitors, the receiver can also be mobile devices such as your smartphones, laptops, and tablets. While our forefathers didn’t need baby monitors, we consider it a must for concerned parents for several reasons. Parents find it so useful when their infants sleep in their own rooms or nurseries. When an infant wakes up, his parents can be alerted to it, go to the nursery, and address their baby's needs, like changing their diaper or feeding them. Baby monitors are also particularly useful in monitoring infants and toddlers when they are asleep or awake. Parents can perform other chores around the house while still keeping an eye, or ear, on their children in another part of the house, such as the bedroom. For parents who work and leave their babies with caregivers, such as babysitters, nannies and grandparents, Internet-connected baby monitors are a great option. Their baby’s activities can still be monitored even from hundreds of miles away, thanks to this Internet technology. Place audio-only monitors about 3 to 10 feet away from your infant’s crib so that these devices can easily pick up sounds. Place the video monitors at a distance that can give you the best possible images. Trial and error is a must in this case, although it should only take 15 minutes or so of your time. Place the sensors according to the manufacturer’s instructions. These may be placed under the crib’s mattress or on your infant’s body. If there are cords on the baby unit, be sure to place them at least 3 feet away from the crib for safety reasons. Clip the parent unit, if possible, to your belt loop or place it on a flat surface near your working area. Even the best baby monitor will be useless if you can’t hear the sound and see the video on the parent unit. Most of us would consider a baby monitor as a must-have for parents with infants and toddlers because of their safety benefits. Modern technology has made it possible for parents to monitor their babies via wireless devices, thanks to the wonders of Wi-Fi and the Internet. The best baby monitors are just tools for keeping track of your infant or toddler. You must still exercise common sense in monitoring their activities, whether they are awake or asleep, since these units can only do so much. Your prompt and appropriate actions are still a must to ensure the overall well-being of your child.